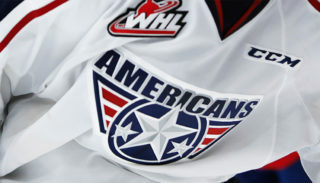 The Americans played the second of back-to-back games against the Vancouver Giants today. 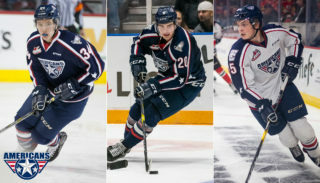 Both match-ups ended in a loss for the Americans. 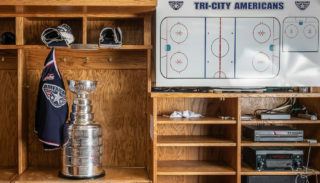 Tri-City scored first tonight at the Langley Events Centre with a shorthanded goal from Blake Stevenson. Tri-City led first period shots on goal 16-10. Jared Dmytriw tied the game for Vancouver at 5:26 second period. Isaac Johnson responded with a power play goal at 7:44, assisted by Sam Stewart and Connor Bouchard. 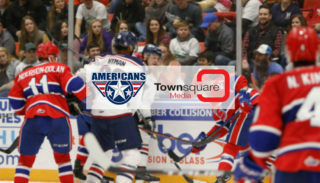 Johnson leads the Americans with six power play goals this season. Three have came within the past four games. Giants out shot the Americans 15-7 in the second period. The Giants once again tied the game with a goal from Aidan Barfoot in the third period. Kyle Olson took a tripping penalty at 13:38 and Davis Koch capitalized on the power play giving Vancouver their first lead of the night. Milos Roman extended the lead to two and sealed the victory at 15:16.